The ulnar nerve supplies some sensation and the majority of strength to the hand. It courses under the elbow and through the inside (medial) part of the hand. When someone hits their “funny bone” they are compressing their ulnar nerve. 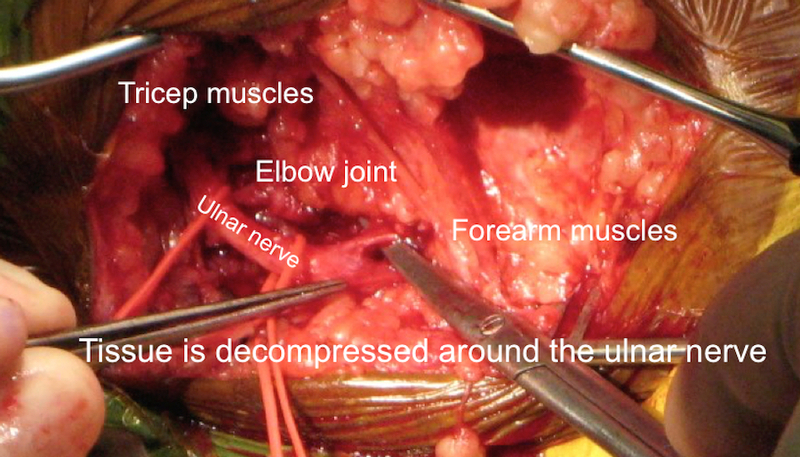 Compression of the ulnar nerve commonly occurs at the elbow. Often this can occur from trauma to the elbow, which can simply include repeated pressure from a tabletop, armchair or armrest in a car. Other causes include repeated flexion of the arm at the elbow. This can occur from holding your cellphone to your ear. Ulnar nerve compression, or entrapment, at the elbow is commonly called “cubital tunnel syndrome”. It is the 2nd most common peripheral nerve entrapment behind carpal tunnel syndrome. Symptoms of cubital tunnel syndrome include tingling (pins and needles) often in the wedding and ring fingers. 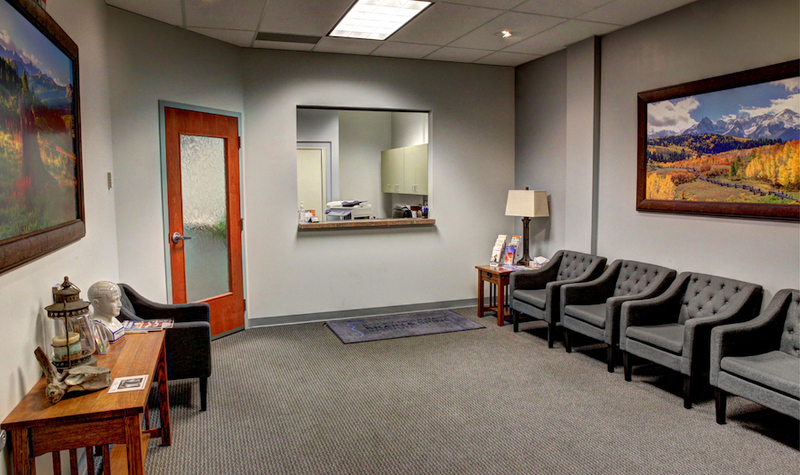 More severe cases can result in weakness or pain. 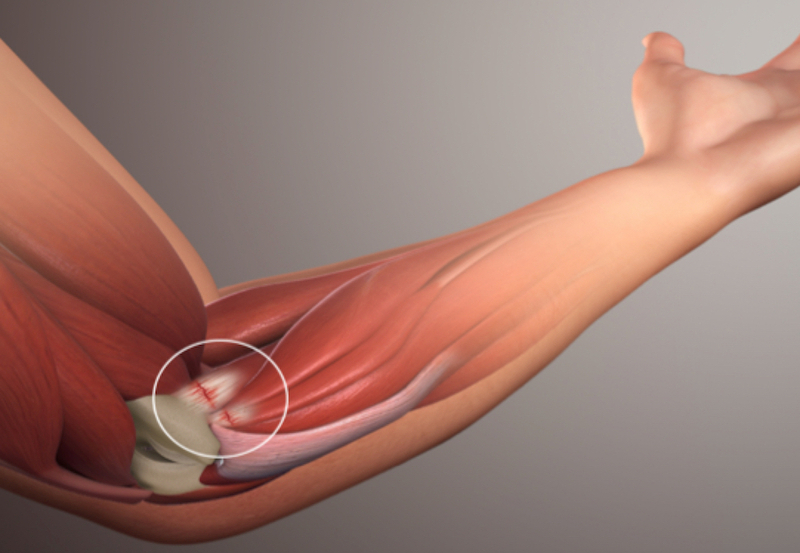 Most cases of cubital tunnel syndrome can be treated by avoiding pressure on the elbow. Some people will wear an elbow pad. Other cases simply avoid hyperflexion of the elbow. In severe symptomatic cases of cubital tunnel, nerve testing may be performed. If cubital tunnel syndrome is confirmed, surgery may be an option. Surgery for cubital tunnel involves decompressing the ulnar nerve. In most cases, the scar tissue surrounding the nerve can be gently removed and the muscle insertion can be opened. 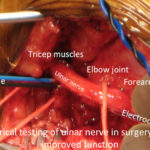 In certain cases, the ulnar nerve also needs to be moved from its place around the elbow joint to a safer location under the skin or muscle (transposition). 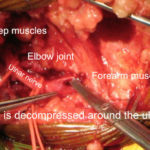 Intraoperative picture showing a left ulnar nerve decompression. The scar tissue has been removed from the ulnar nerve and the muscle insertions in the forearm have been opened. 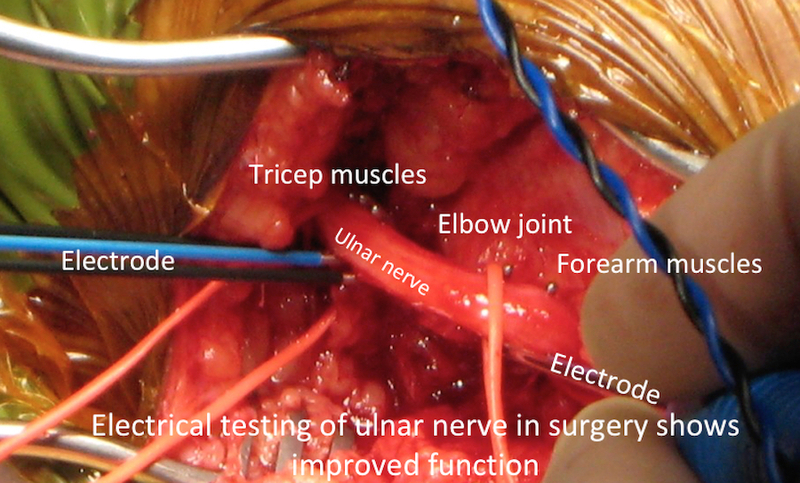 During surgery, we can test the nerve conduction of the ulnar nerve to verify improvement. If you would like to know more about ulnar nerve surgery, please call us at Rocky Mountain Brain & Spine Institute. We are BOARD CERTIFIED.